Travel about 35 miles east of Los Angeles, and you’ll find Claremont, the city Money Magazine ranked among the best places to live in the nation. 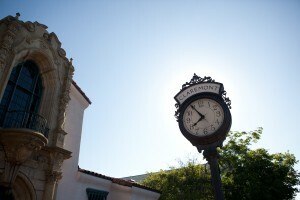 Claremont is known as “The City of Trees and PhDs,” because of its tree-lined streets and large number of residents with PhDs. To find out more about what makes Claremont such a great place to live and learn, check out our story below!